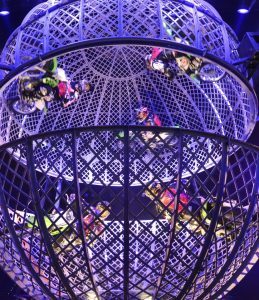 I think it would be unfair and some-what-of-a spoiler to go through every single acts from start to finish as part of my review of the opening night of The Great Moscow Circus. Perhaps my own thought how this is the perfect family entertainment which couldn’t come at a better timing (after most kids have finish their examinations and before most families are off for their year end holidays) would be a better way for me to review this. . 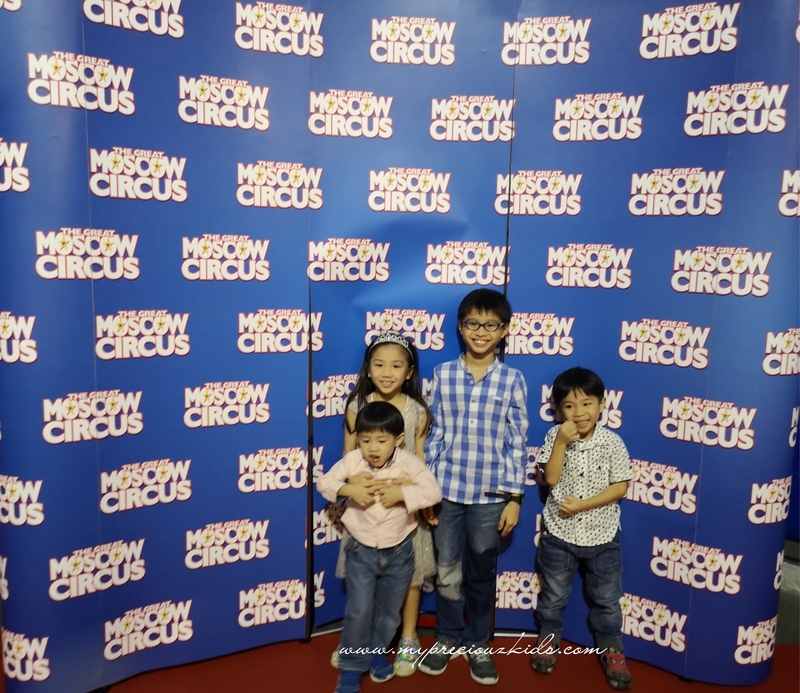 I think the best way to review The Great Moscow Circus would be my 5 honest and heart felt reasons why you should bring your family and little ones to the circus. Besides the media preview that I attended yesterday where I took lots of photo and videos, I did not do so tonight – 2 reasons – I was handling 4 kids on my own and I would like to enjoy the show with my kids. Hence this will be word-heavy and picture-light for once (no spoiler alert) ! 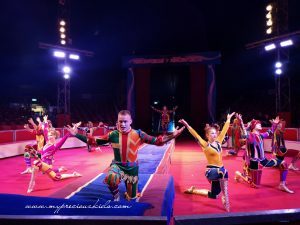 Most photos shared are from the media preview or credit from The Great Moscow Circus. 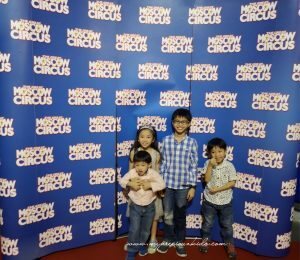 I am not a circus virgin (hence I think I am fit to be a circus show reviewer) as I have been to a fair share of circus acts with the kids that has arrived in Singapore in the recent years and memories. 2 Cirque du Soleil- Totem and Kooza and the most recent Circus 1903. 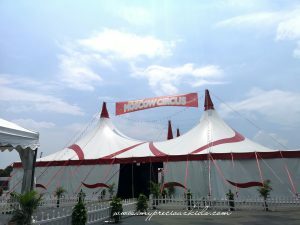 How does The Great Moscow Circus compared to the other previous acts? I feel that The Great Moscow Circus is a more wholesome family entertainment – from the simple acts of the clowning, juggling, aerial acrobatic to dare devil stunts like the Globe of Death and the Double Giant Wheel, it has something from the very young till 99 years. The way each segment/act has been arranged and conducted by the ring master was impeccable! The entire circus was also accompanied by a 3 person live band not a typical fixture of circus. There is simply no area to fault frankly, it was one very tight show from start to finish! 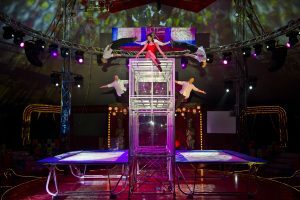 There are acts with just 1 performer like the juggler and contortionist to a team of performers of Scottish Skipping and Fast Track Acrobats who have to time their performances to precision. And forgetting the clown and the ring master to bring it all together for 1 wholesome show! 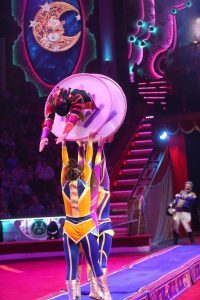 There are some similar acts that Circus 1903 that can be found in The Great Moscow Circus -The aerial acrobat, trampoline, Globe etc, however to be watching it in a circular ring in a big top takes the cake away. 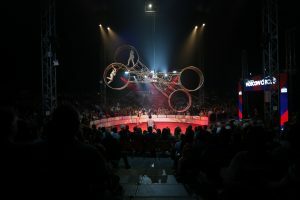 The audience feel so much more connected with performers walking around the audiences – there is so much more interaction at the big circular top compared to sitting in a theatre setting . You have to be in the big top itself to truly appreciate the magic of attending the circus. Even setting up The Big Top in itself is an impressive story that we often overlook as a circus patron. 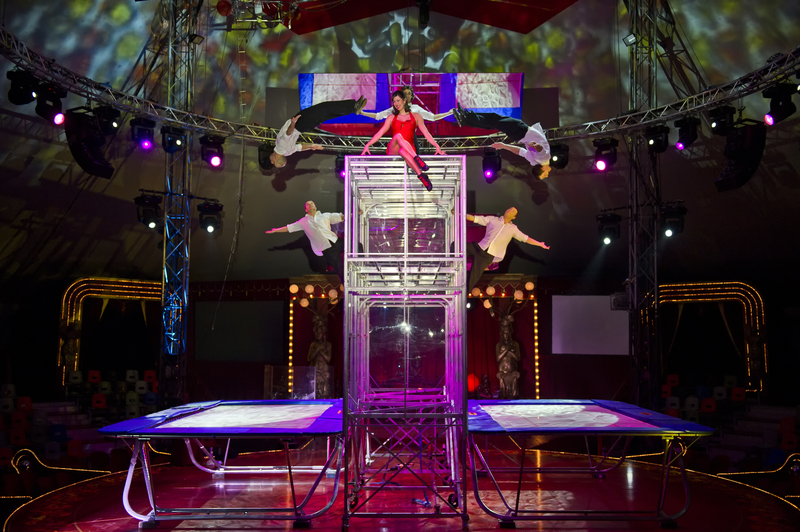 Did you know The Big Top originated from Mongolian yurt? 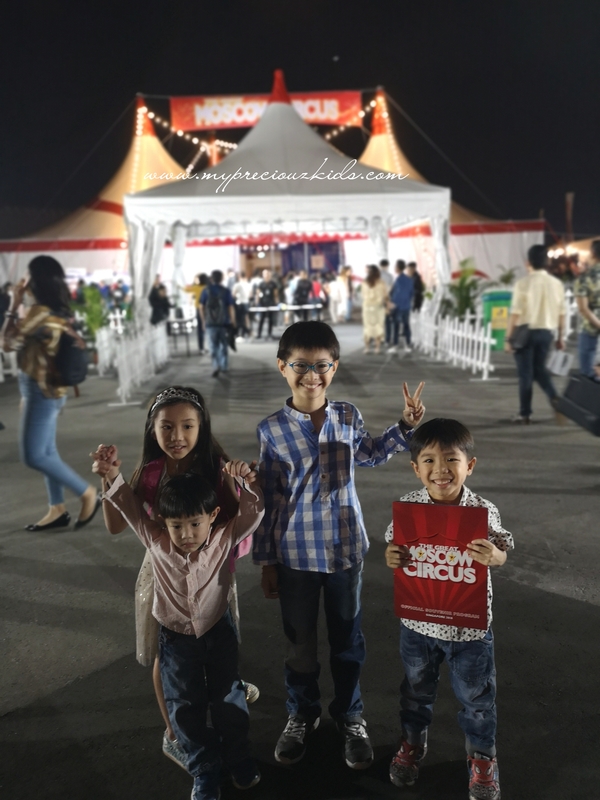 So when the circus came to town, it means the whole structure was imported into Singapore and constructed and fit out in 3 days by a team of experts! Every one of my kids (yes, they are fast asleep for 3-hour-long show as I typed my review) had their favourite act just like I have my favourite act too. Small C loved the opening act of trampoline, so effortless and gravity-defying. Big C who is currently perfectly her cartwheel was in awed with the Fast Track Acrobats (I loved that too very much.. 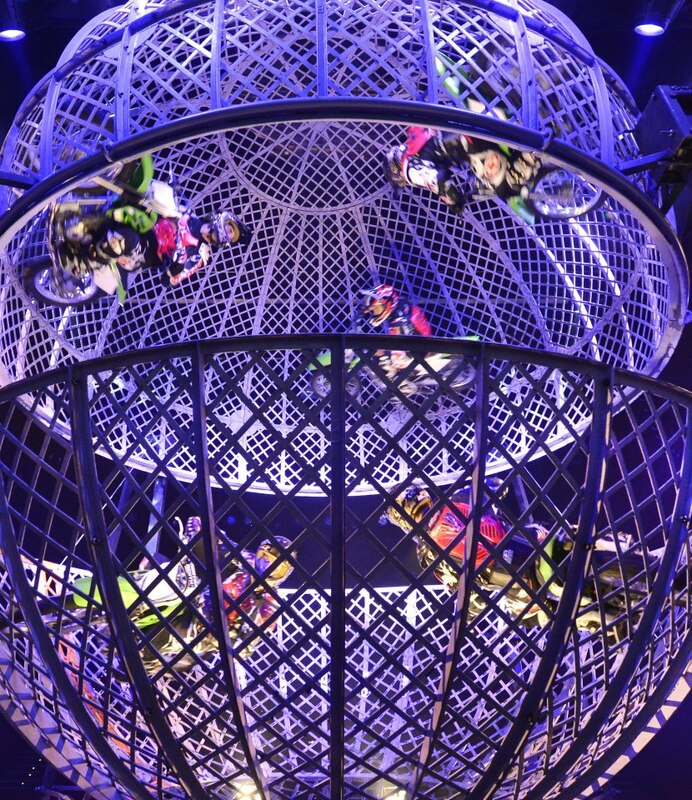 So much energy, I watched it once at the media preview and was blown away !Both small J and big J loved the Globe of Death, boys and their motorbikes and metal structures must have been so awe inspiring to them. If there is one act that we all loved and tickled was whenever the clown came on! These are our favourite acts! 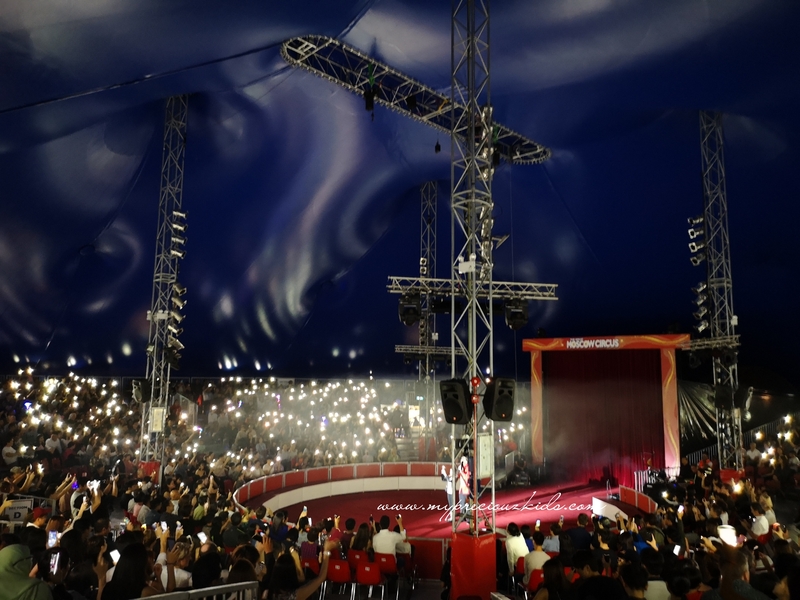 Can you believe that an interactions with several “lucky” audiences with the clown had the whole big top ringing with laughter – the sportiness of the audience and how the clown made them entertain us – it is pure magic. I remember for the other circus that I had watched,, similarly the audience were called in to perform with clown, I can see its just to “filling up the time” while they changed the act but I was truly amazed how the clown “made” the audience (4 guys) into an “acrobatic act” to our entertainment – pure “magic”. Frankly the circus don’t have to do much , it was done so naturally with no conscious effort to filling the gap/time! Every act is so different from one another but they do not deviate from the true essence of the traditional circus performance. How is it possible for a single show to invoke a myriad of emotions from me, from being so tickled, to heart stopping, to mouth gaping whenever the performer did their most dangerous attempts I can almost felt my heart popped up. From light entertainment from 1 juggler to a super fun two-person Quick Change Transformationists (it’s like China famous “bian lian” but instead of changing the face mask in a split second , the performer changes its outfit in a split second) then you switched mode to heart stopping acts that kept me at the edge of my seat during the aerial performance, Globe of Death and the Double Giant Wheel! You must have a strong heart from the roller coaster of emotions in 2 plus hours show! 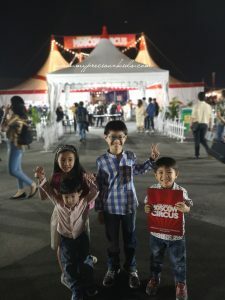 There was one particular segment that touches my heart especially I have a very soft spot for the circus (I attended circus when my parents brought me as a child in my hometown). 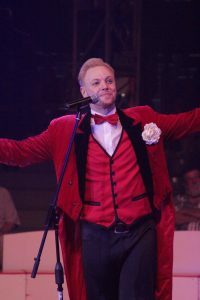 The ringmaster asked the audience who was catching the circus for the first time. He picked a young teen into the ring and had the whole audience switched on the light on our handphones. 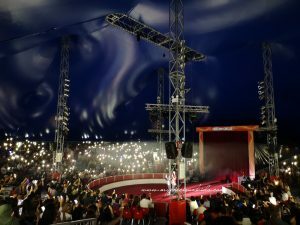 The light were dimmed and the lights from the handphones glowed around the entire big top. He went on to say that the circus was once believed to be the gift from the sky and he transformed the big top into a sky full of stars , the super lucky teen, I am sure she will be very inspired by this small act by the ring master that she will remembered for life! In order for the show to go on forever and ever, we would come to support the circus! The heart, soul and hard work of the all the world class performers (from Russia and around the world) had brought joy and memories to the audiences – young and old, this requires the highest accolade – many of them risking their lives everyday performing to us (there is no net in the entire show)! And if the other reasons above didn’t quite convince you, let this be your sole reason. 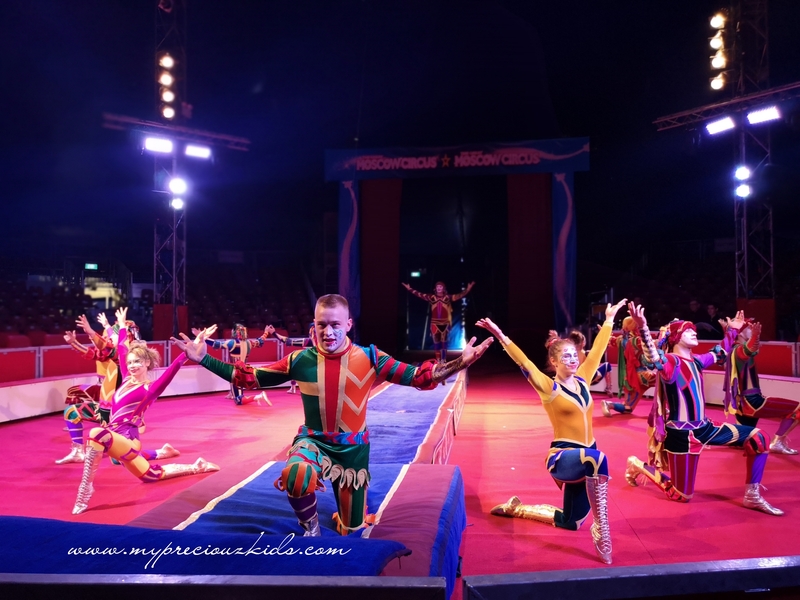 Do support the circus, their history , their art, their tradition-The Great Moscow Circus has one of the best stable of world class performers with a long history. 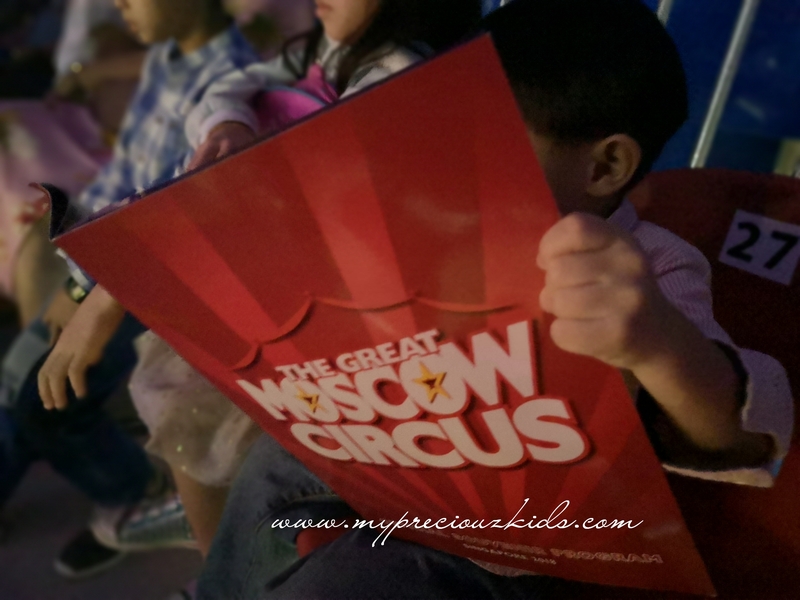 The Great Moscow With tickets starting from SGD 65 onwards and a show of almost 3 hours long (15 min interval), I think The Great Moscow Circus is an affordable yet most memorable family event for all! 1. The most obvious choice to park is at Marina Bay Sands…..Wrong..if you are driving park at the open air car park on the left of the big top, I paid only SGD 5.81 for the entire 3 hours plus I was there! 3. Section D gives the best frontal view and as there is only 16 rows from the ring every one get quite a good view from even the last row ( if you are sitted at the back row feel free to stand up and dance). 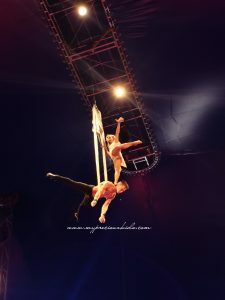 For once those who were sitted more towards the back, the advantage is that you don’t need to look upwards to high acts like the aerial show, acrobats, trampoline – so it is not a must to get the front rows! 4. Do get yourself a official souvenir program giving credit to the world class performers and a snippet of the history of the circus and the big top . And popcorns to complete your circus going experience ! 5. Try not to watch any videos posted on the social media, it’s better to watch it for the very first time for every act to truly enjoy the suspense and the excitement of every act. 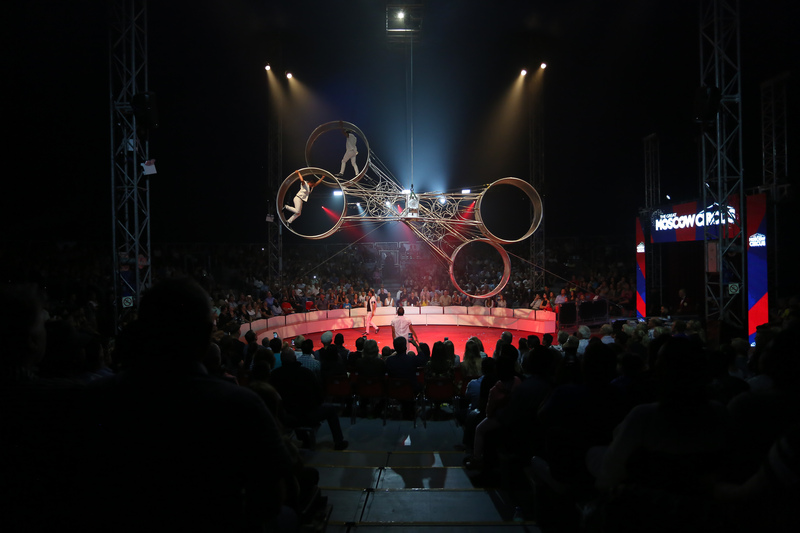 Hence, it was my conscious effort not to include any more videos of the circus in this post. You have to watch it first time and live at the big top to truly be amazed by the magic of the circus! 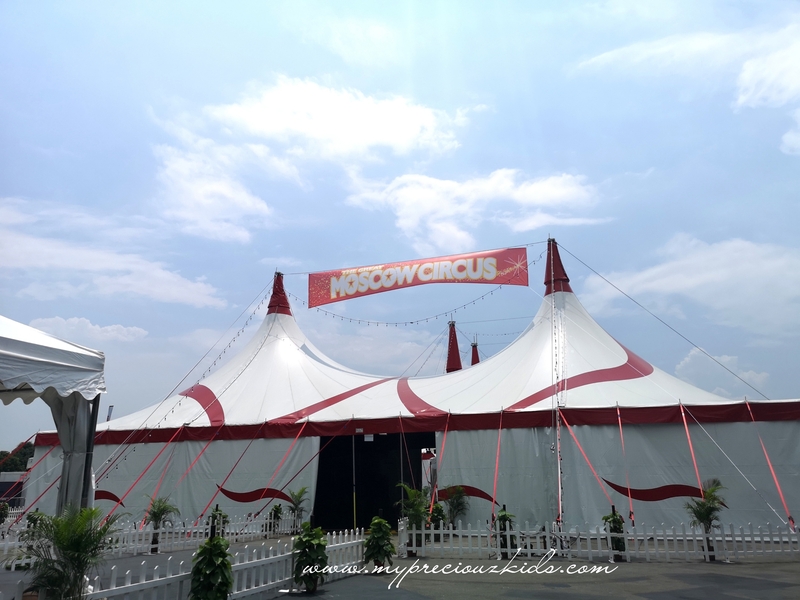 The Great Moscow Circus takes place under the The Red and White Big Top at Bayfront Avenue, beside Marina Bay Sands from 25 October for 4 weeks only. Tickets available from SISTIC.